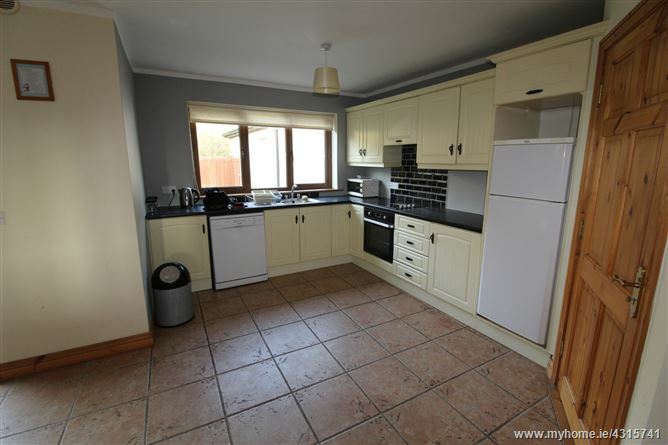 A Four bedroom semi detached house with a c.230 sft. 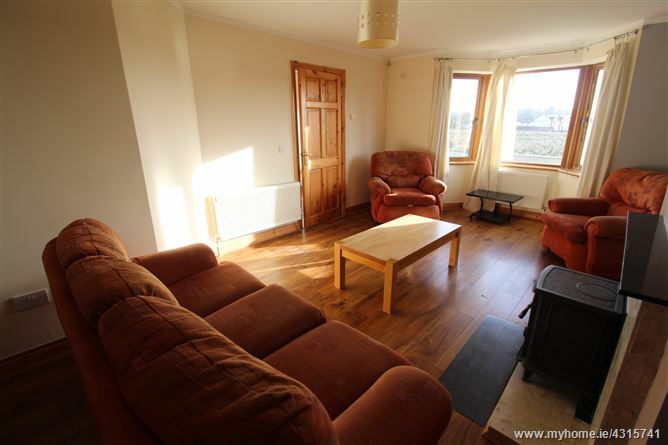 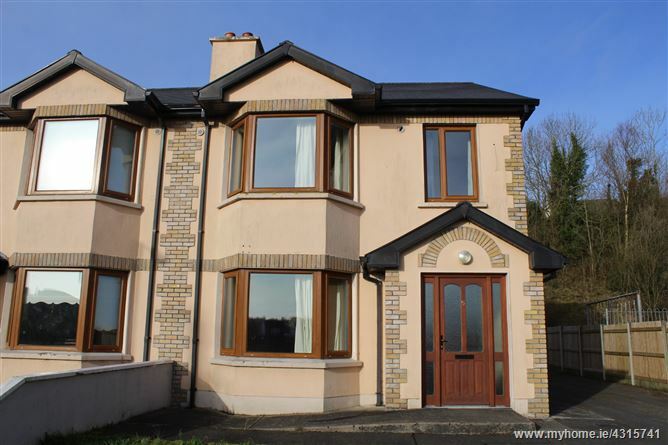 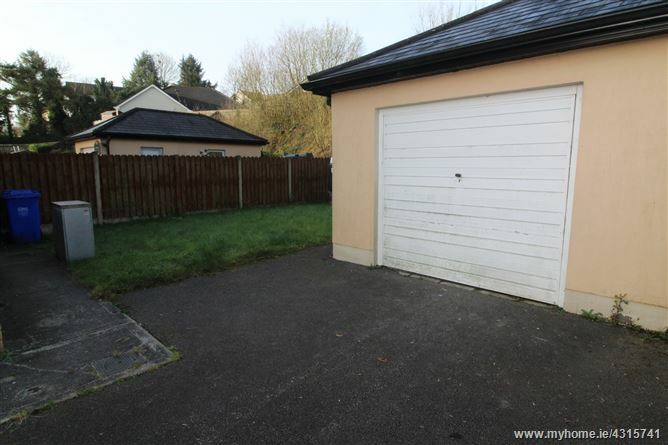 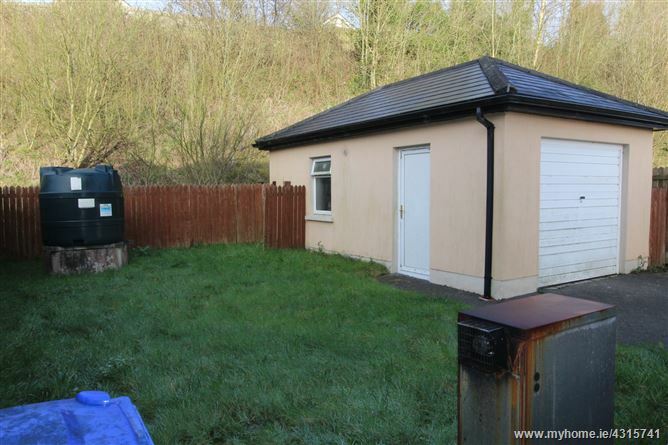 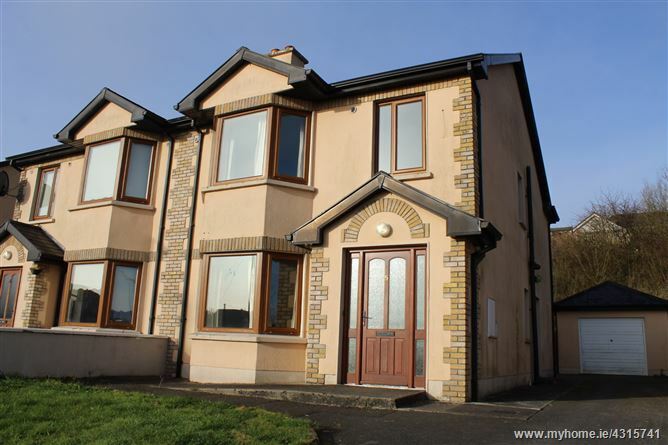 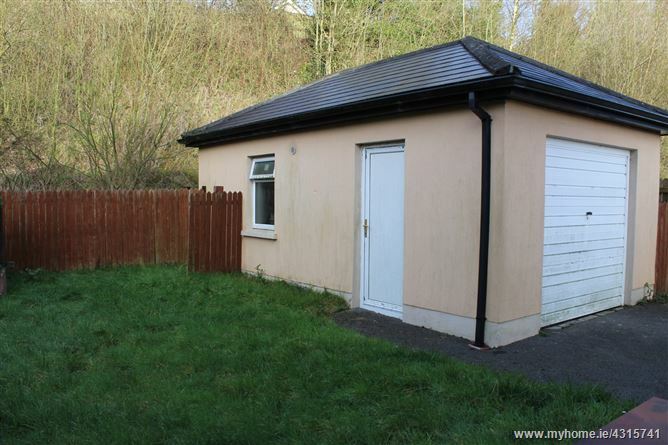 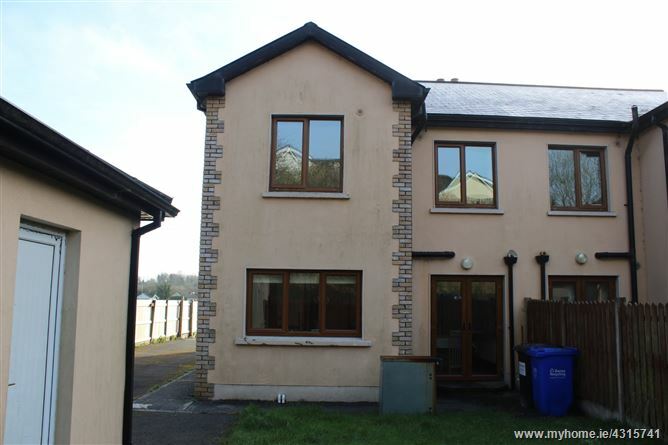 Detached garage in this popular location and within walking distance of Carrick on Shannon town, local shops and amenities, Aura Leisure Centre and the Marina. 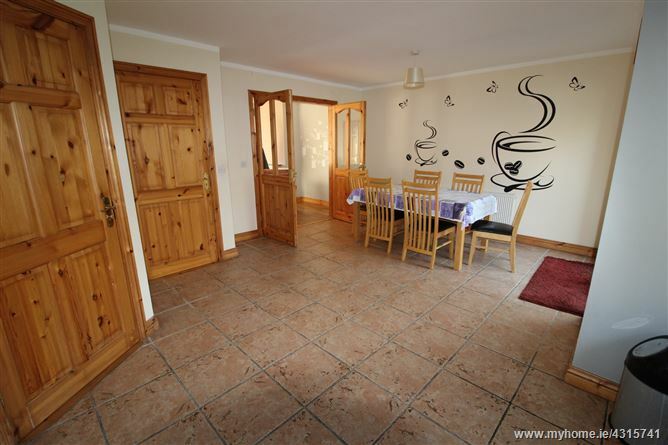 The house offers excellent living accommodation, large eat-in Kitchen and south west facing Garden. 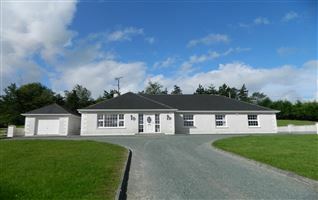 Some personal flair required to make this an outstanding family home in a sought after location, close to all that matters. 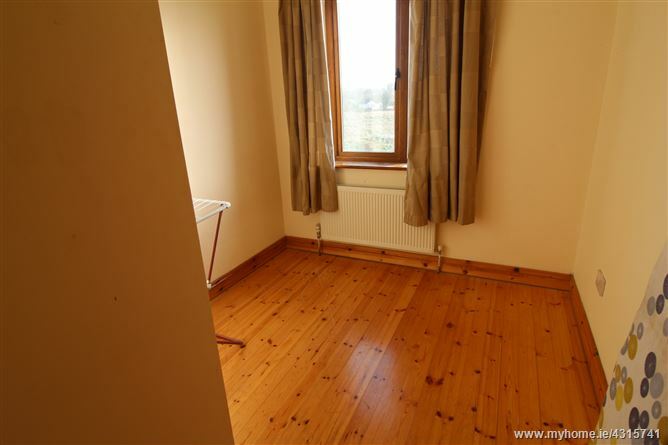 Oil Fired Central Heating with open fire. 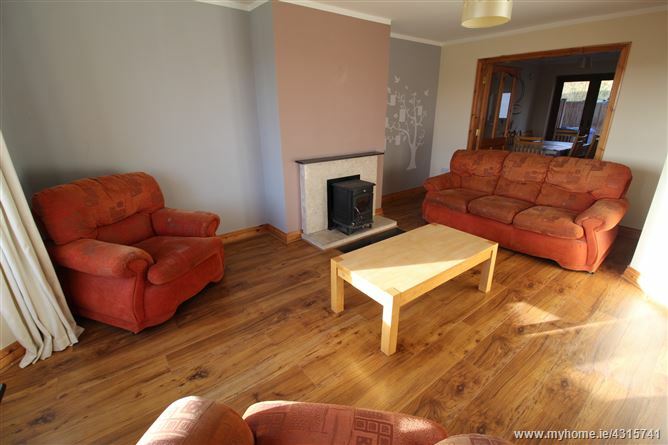 Bright Sitting Room with bay window to front, fire surround with stove, laminated flooring, radiator, glass paneled doors to Kitchen/Dining Area, window dressings. 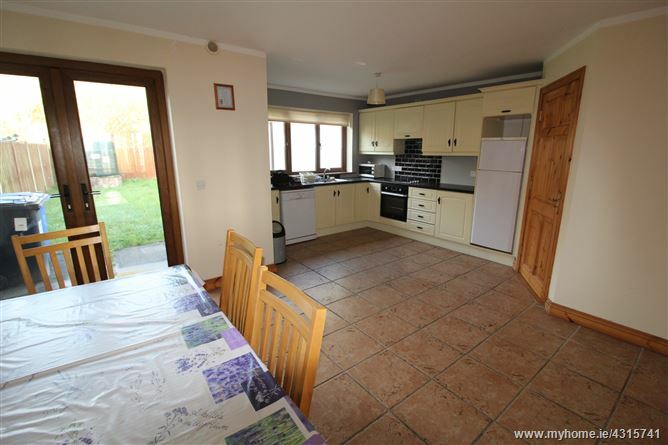 Large Fitted Kitchen/Dining Area, dishwasher, electric oven/hob, extractor fan, tiled flooring, window to rear with blinds, patio door to rear garden, radiator. 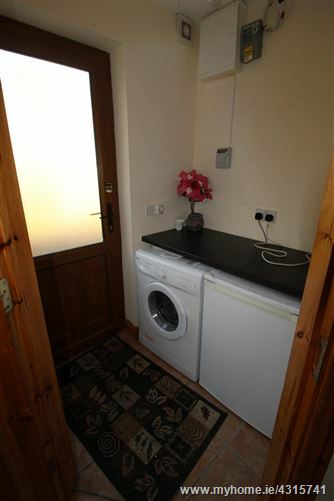 Washing Machine, Drier, tiled flooring, door to side elevation, radiator. 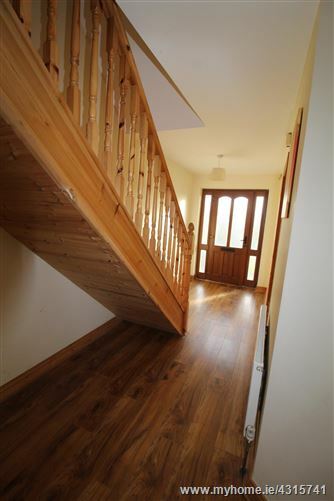 Bright spacious hallway,with laminated flooring throughout, radiator. 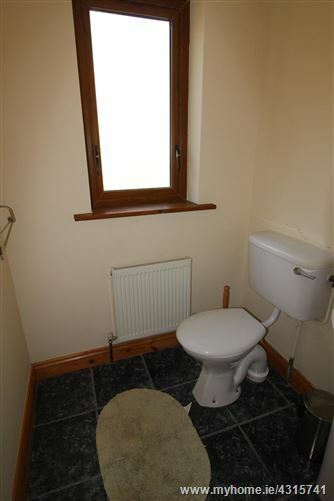 Window to side elevation,tiled flooring, radiator, whb,wc, mirror. 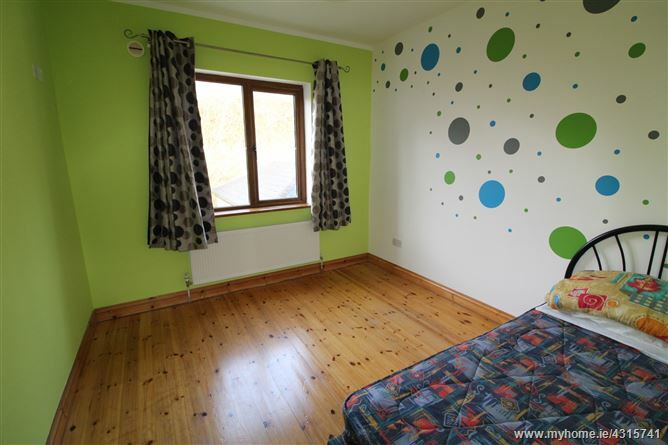 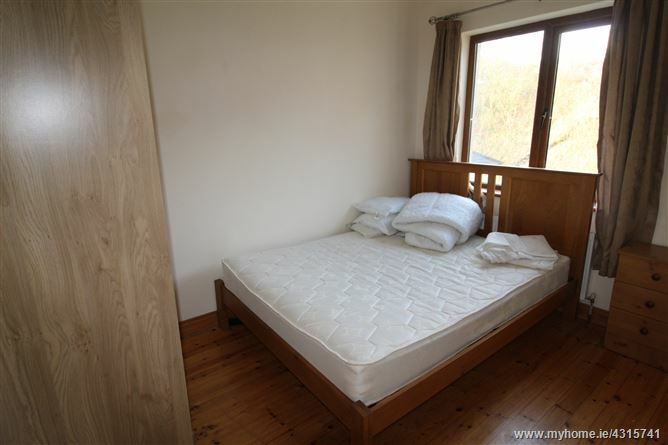 Bright spacious bedroom with bay window to front elevation, wood flooring, window dressings, radiator. 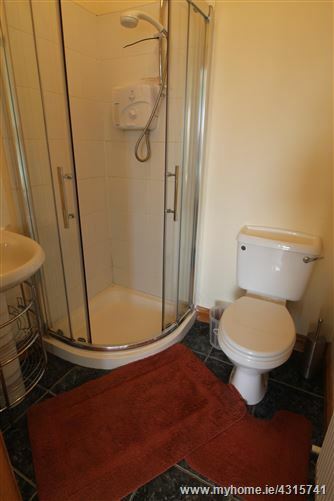 Shower cubicle with shower, tiled flooring, whb, wc, mirror, overhead light, radiator. 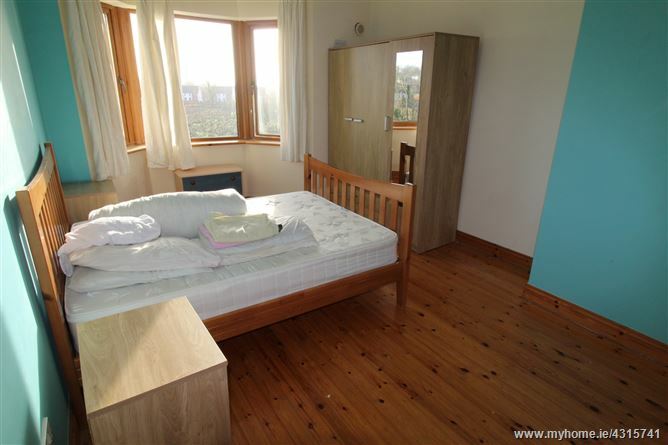 Window to rear elevation with window dressings, wood flooring, radiator. 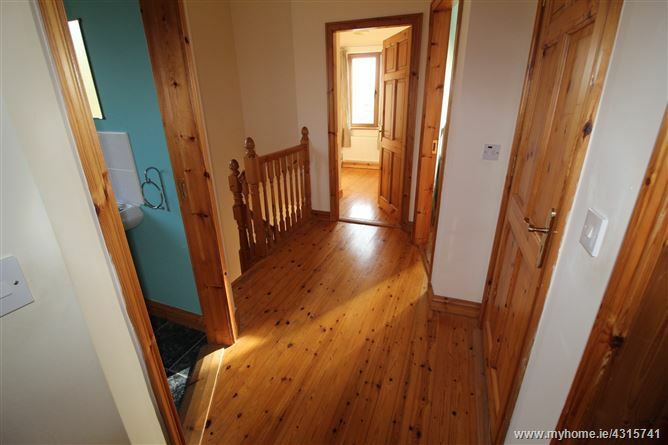 Window to front elevation with window dressing, wood flooring, radiator. 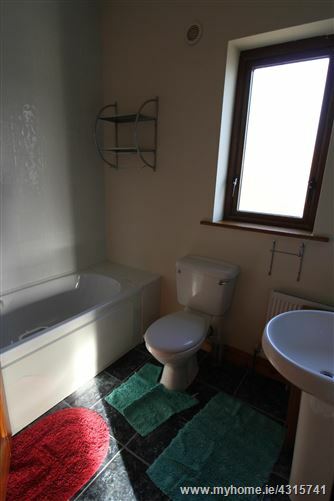 Window to side elevation, Bath with overhead electric shower with tiled surround,tiled flooring, whb, wc, mirrow with overhead light, radiator. 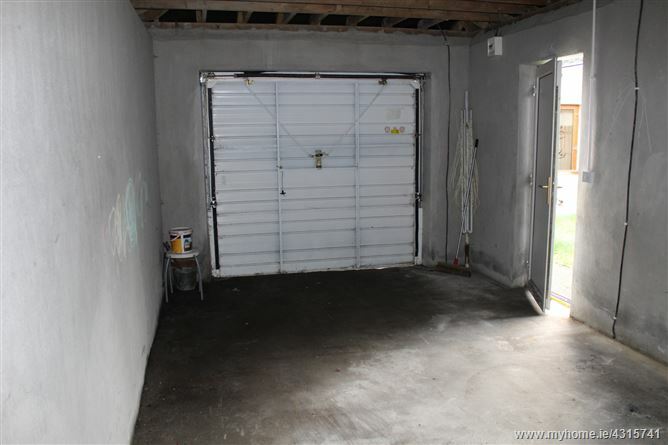 A detached garage with electric.